Modern life can be tough on our skin. SBC’s NEW Skin Defence collection is formulated with a combination of effective anti-oxidant ingredients to help fight the negative effects of environmental aggressors we inevitably face every day to help you maintain a fresh, youthful and healthy-looking complexion. Did you know that every day your skin is damaged by environmental aggressors, from pollution to blue light from electronic devices? This damage can cause visible signs of ageing, uneven skin tone, dullness, dehydration, blocked pores and a weakened skin barrier. 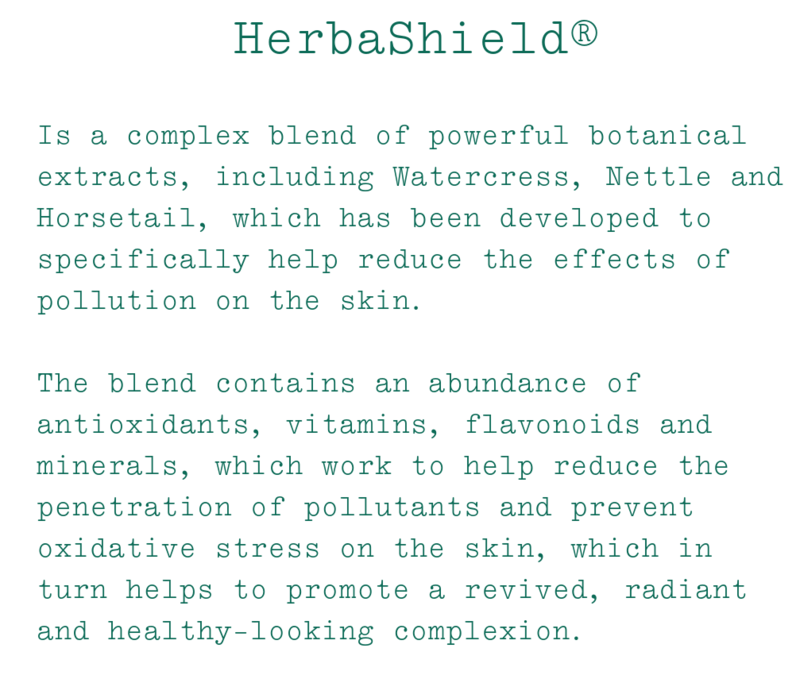 SBC handpicked the key ingredient HerbaShield® which gives power to our new Skin Defence Collection! These vegan-friendly formulas are suitable for all skin types, including sensitive skin and ideal for those who want to protect their skin from environmental stresses or live in an urban environment. The Skin Defence Collection is a must for outdoor lovers who are exposed to the elements – just don’t forget your SPF too. This beautifully refreshing, and lightweight moisturising skincare gel delivers hydration repair with free-radical defence. The unique gel formula is super-charged with antioxidants from White Tea and HerbaShield® to strengthen skin’s moisture barrier whilst filtering out free radicals and environmental stressors. These antioxidants neutralise toxins while optimising the skin’s natural repair and defence system. White Tea contains its own powerful antioxidants which work with HerbaShield® to fight free radical damage, providing you with the ultimate blend to be your skin’s first line of defence. Added Hyaluronic Acid acts as a natural moisture magnet, which works with Glycerin to help lock in moisture for soft, smooth, plump skin. The rehydrating formula leaves skin feeling refreshed, strong and healthy-looking with a fresh glow, whilst reducing the appearance of fine lines and wrinkles. SBC’ signature gel texture feels fresh and penetrates the skin quickly. The oil-free formula is non-sticky and leaves no residue. Apply liberally to the face and body, can be applied underneath moisturiser on drier skins. SBC gel formulas are versatile and allow application in any desired thickness. They are moisturisers, primers and masks, all in one! Purify and refresh your skin with our invigoratingly scented Skin Defence White Tea & Charcoal Body Wash. The deep cleansing blend of anti-oxidant rich White Tea, Charcoal and HerbaShield® leaves skin feeling refreshed & purified of daily grime. The unique formula transforms from a black gel to a white creamy lather, enveloping your body in a fresh, invigorating infusion. Charcoal has the ability to control oils and draw away the impurities that build up in the pores. It is also effective in the removal of dead cells, for clean, clear, healthy-looking skin. This body wash is gentle enough for all skin types and leaves skin feeling refreshed, soft and healthy-looking, with a fresh delicate aroma. The Glycerin rich formula locks in moisture, for soft and smooth feeling skin, even after towel drying. Apply desired amount to body, with hands or a sponge and work into a lather on the body. Follow with White Tea and Nettle skincare gel to keeps your skin fresh, radiant and protected from modern life.